A small, early 20th century beechwood breadboard of fairly simple form. 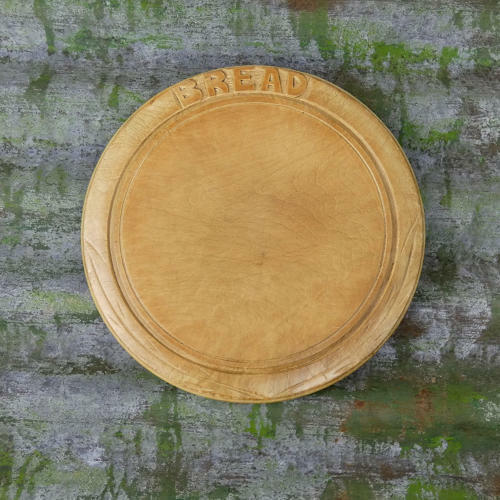 The border to this board is carved with the word ‘BREAD’ and it dates from c.1920. The wood has a good, rich, honey coloured patina and the board is in very good condition. There is just the usual marking to the centre of the board from use.